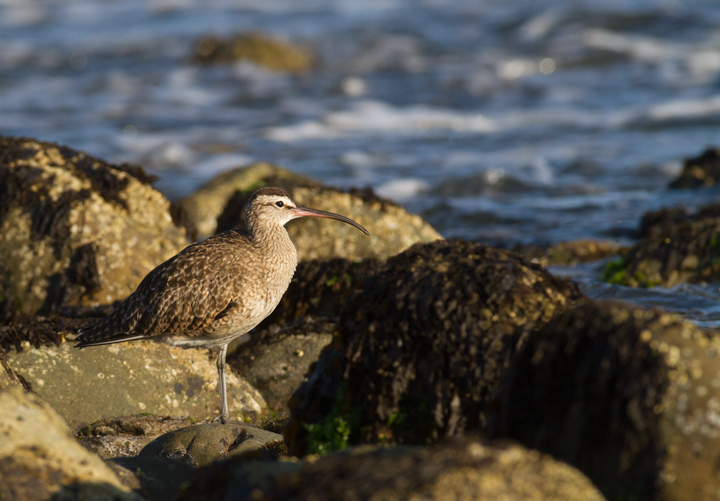 October in Southern California - Page 7. 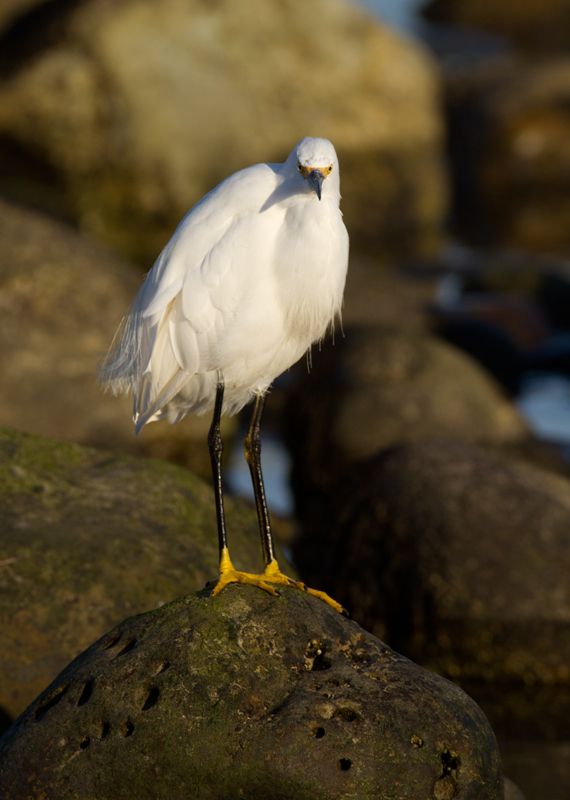 Last updated: 1/21/2012. 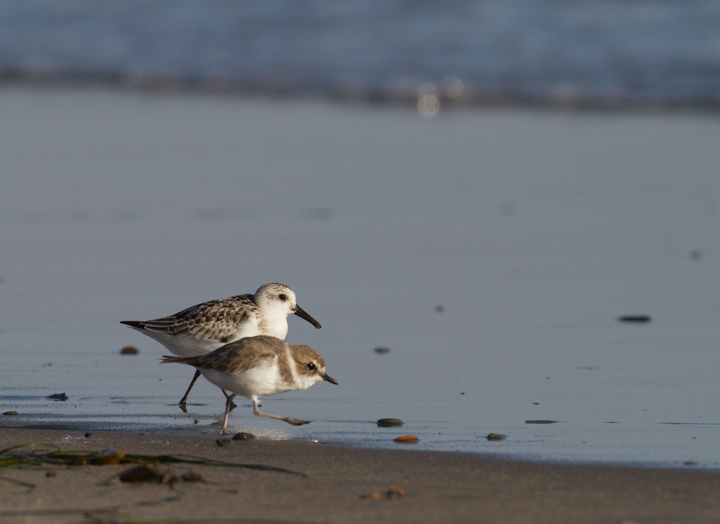 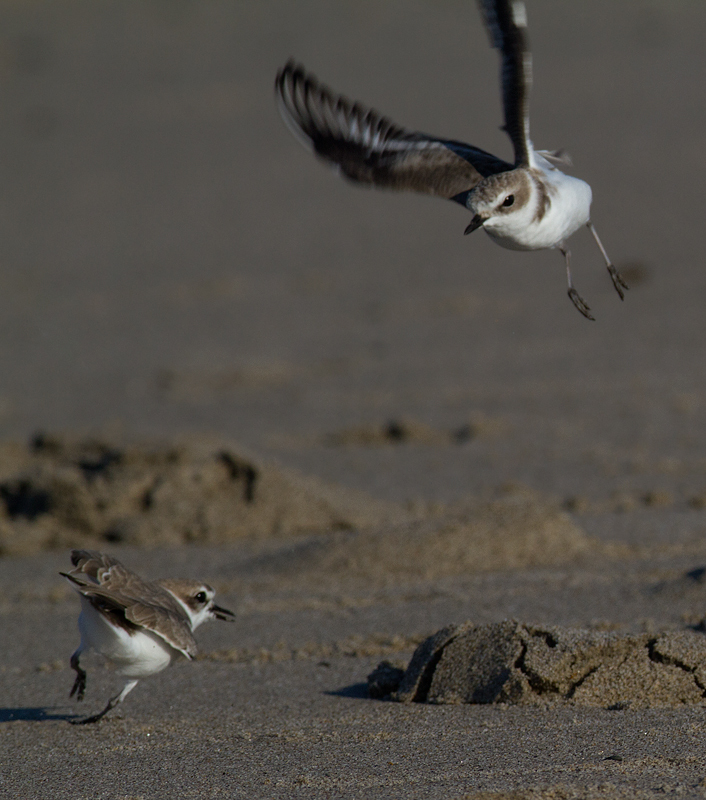 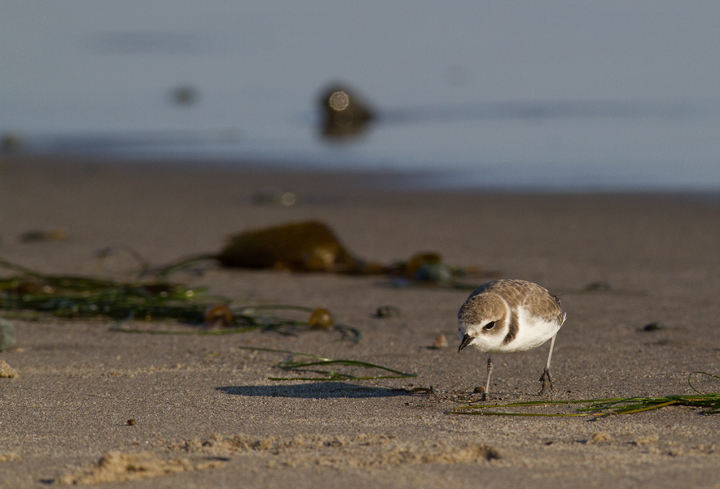 Above and below: Snowy Plovers in Malibu, California (10/10/2011). 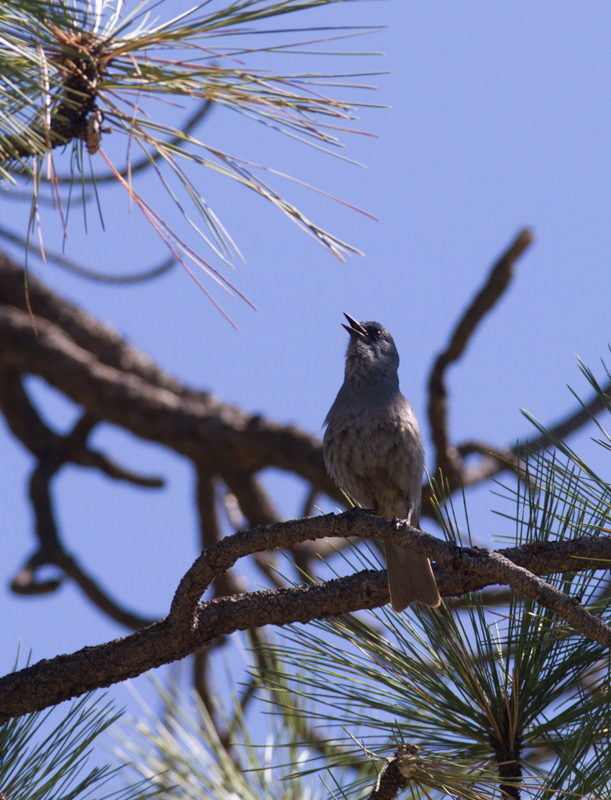 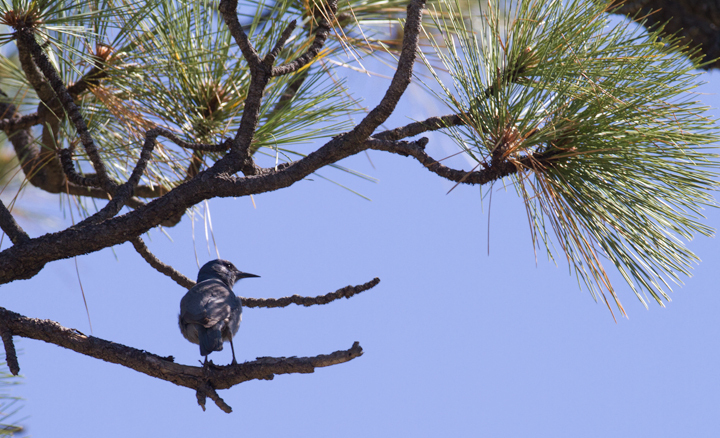 Below: A Pinyon Jay in Riverside Co., California (10/10/2011). 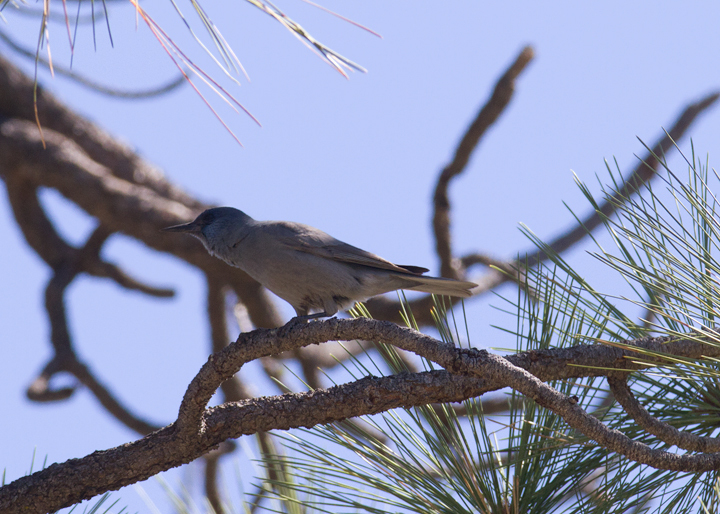 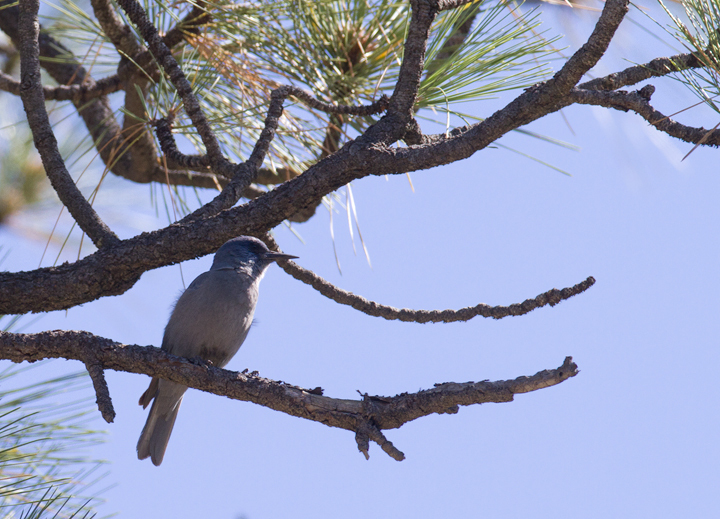 These were my first Pinyon Jays, and finding them on the last day of our trip was a major highlight. 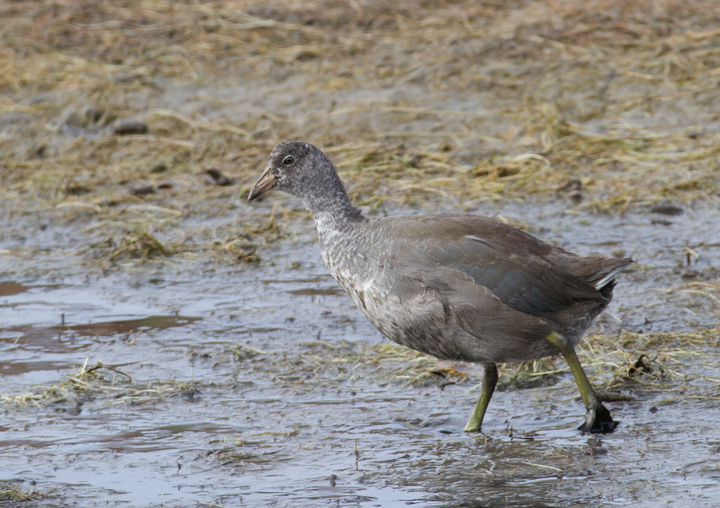 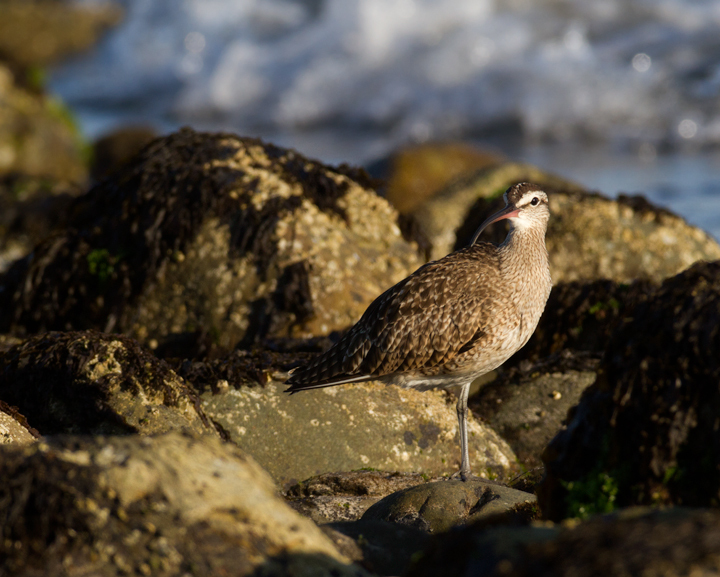 Below: A juvenile Greater White-fronted Goose in Malibu, California (10/10/2011). 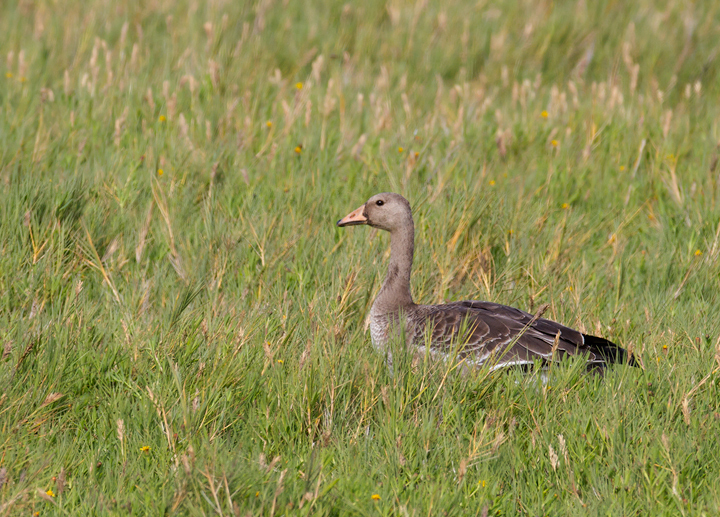 Note the lack of namesake white front! 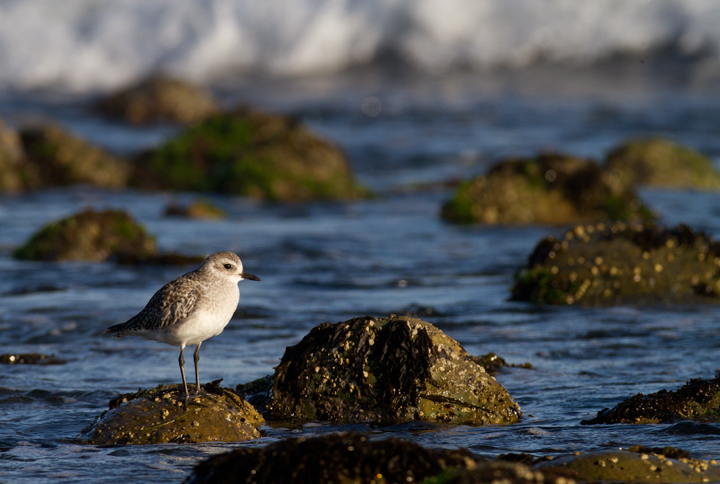 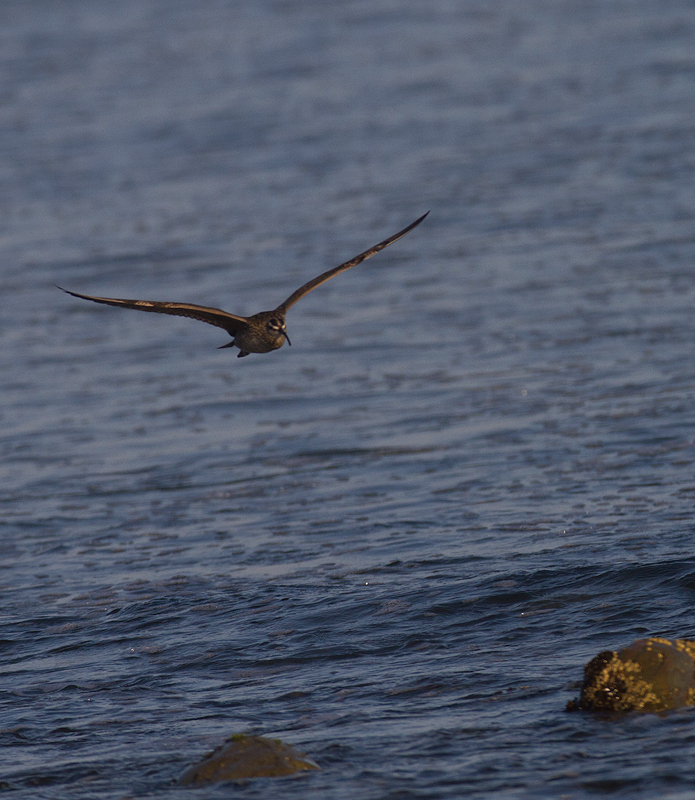 Below: A Black-bellied Plover on the shoreline at Malibu, California (10/10/2011). 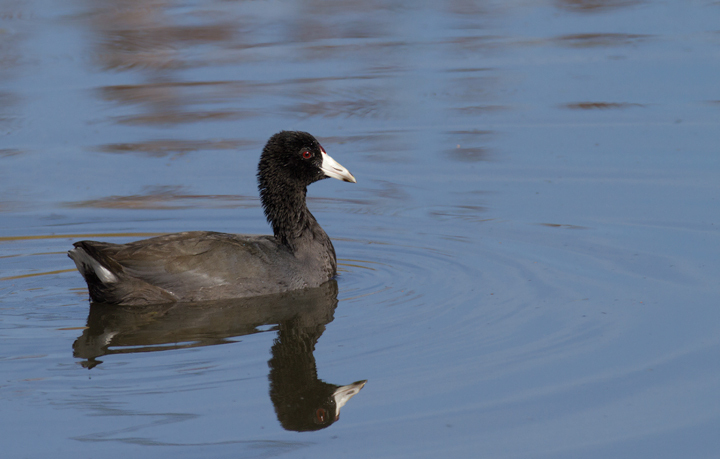 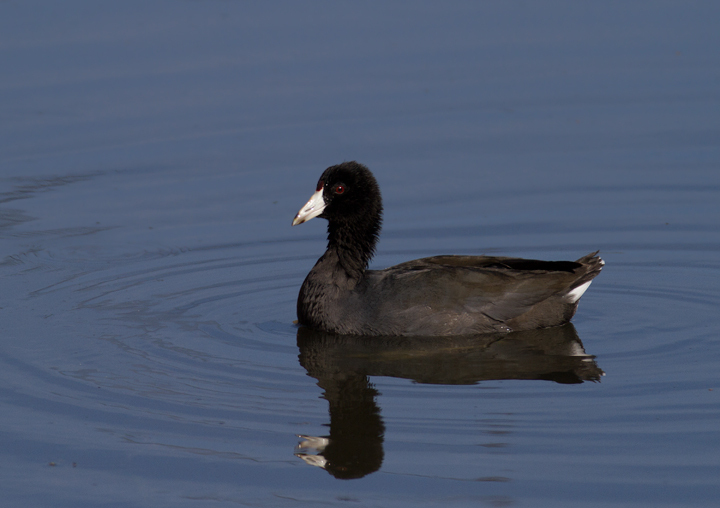 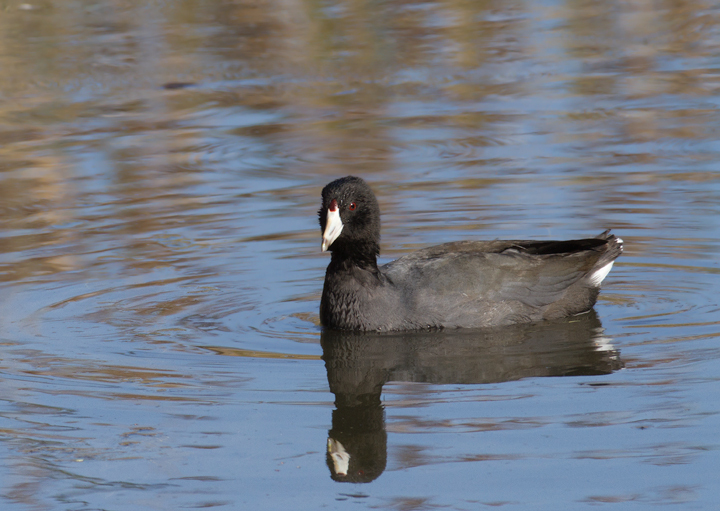 Below: Adult and juvenile American Coots in Malibu, California (10/10/2011). 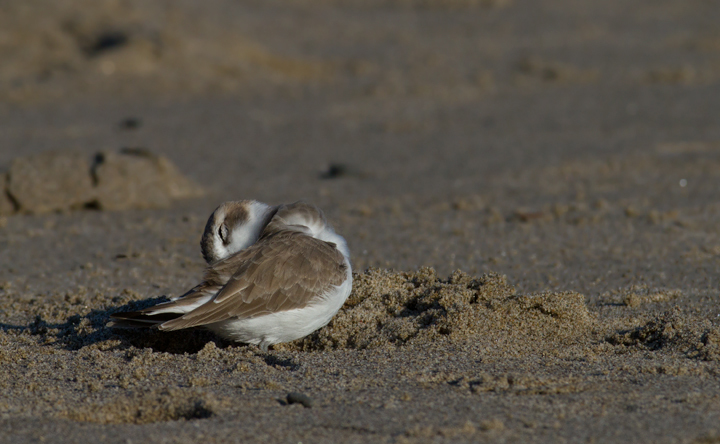 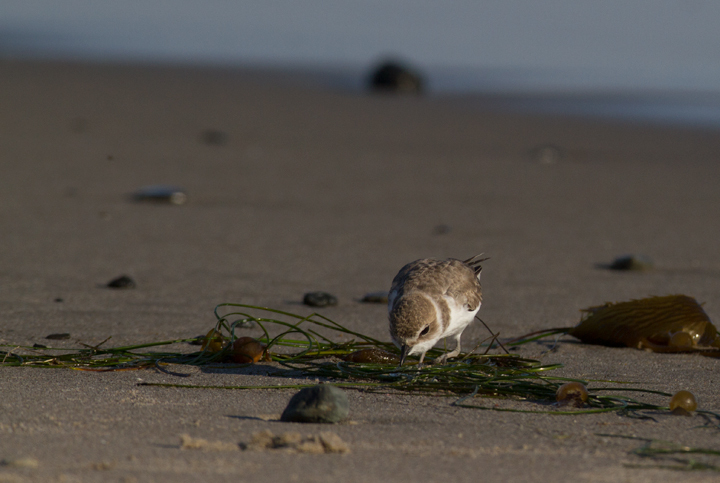 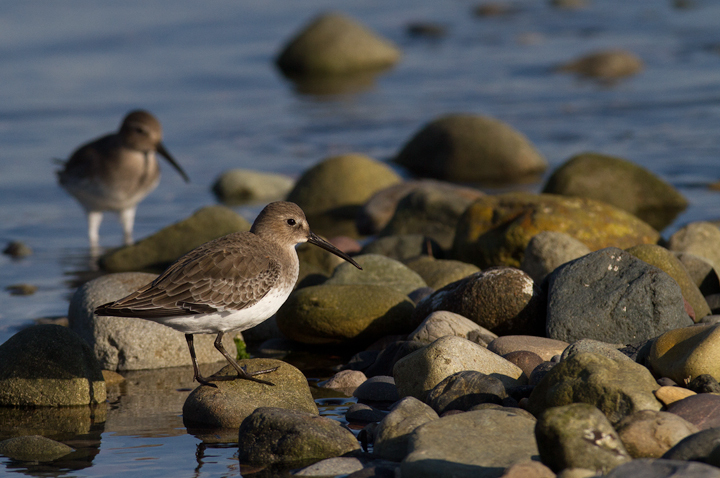 Below: Dunlin at Malibu, California (10/10/2011). 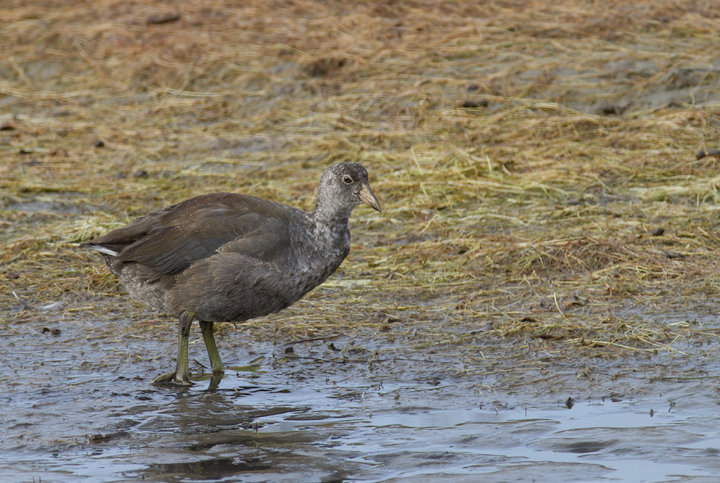 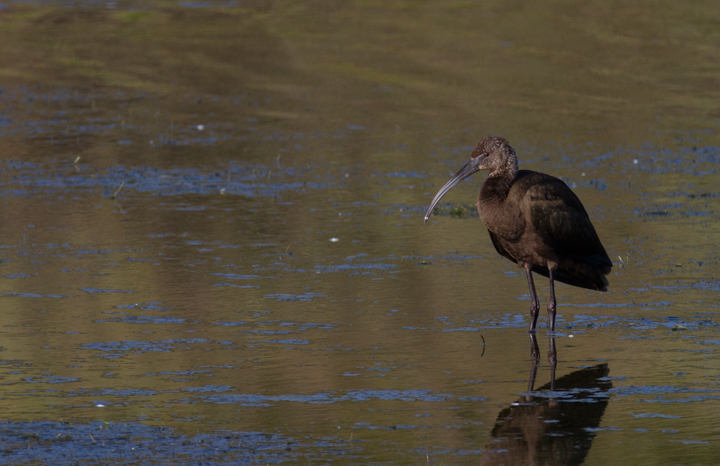 Below: A White-faced Ibis at Malibu Lagoon, California (10/10/2011). 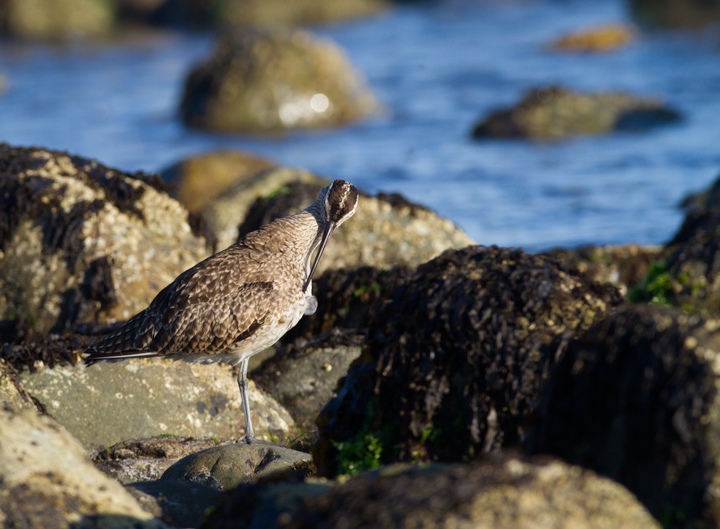 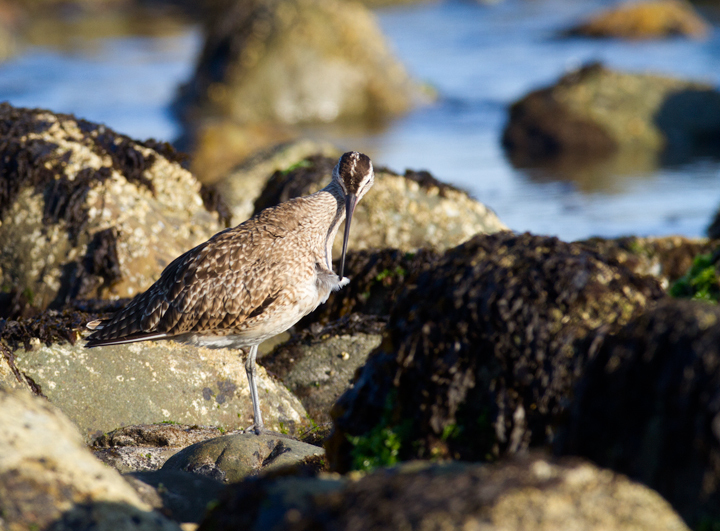 Below: A Whimbrel at Malibu Lagoon, California (10/10/2011). 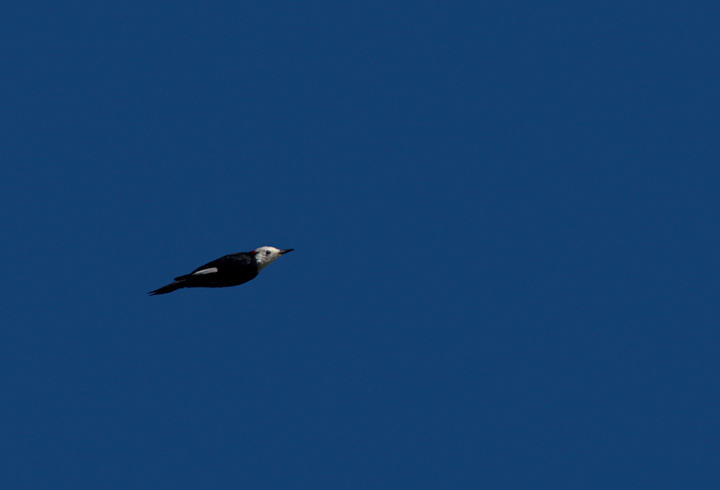 Below: A White-headed Woodpecker passes overhead in the hills in Riverside Co., California (10/10/2011). 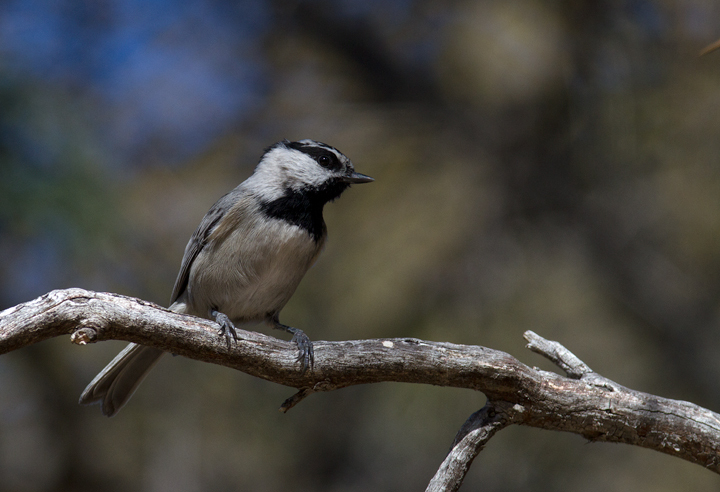 Below: A Mountain Chickadee in Riverside Co., California (10/10/2011). 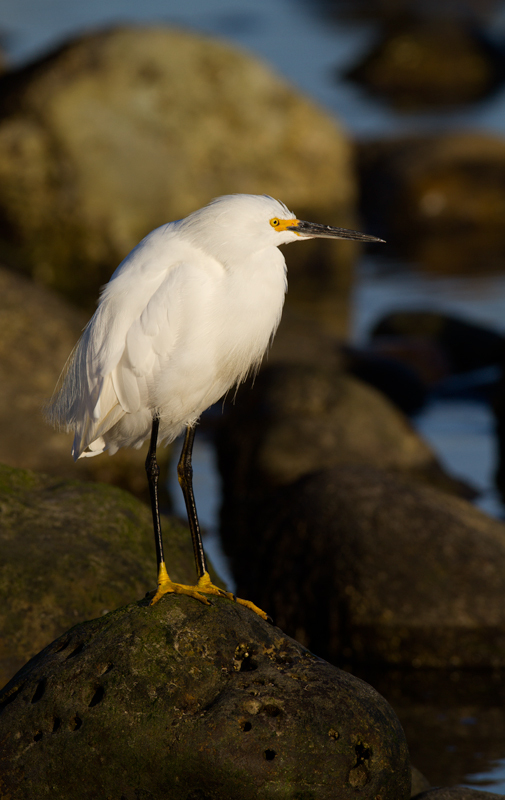 Below: A Snowy Egret at Malibu Lagoon, California (10/10/2011). 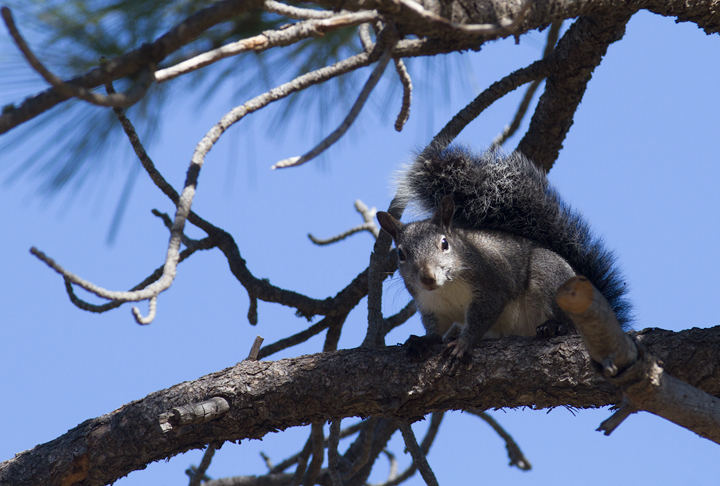 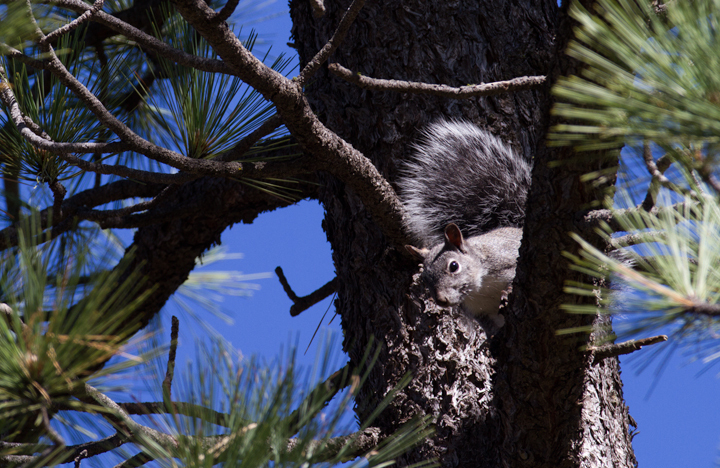 Below: A Western Gray Squirrel in Riverside Co., California (10/10/2011). 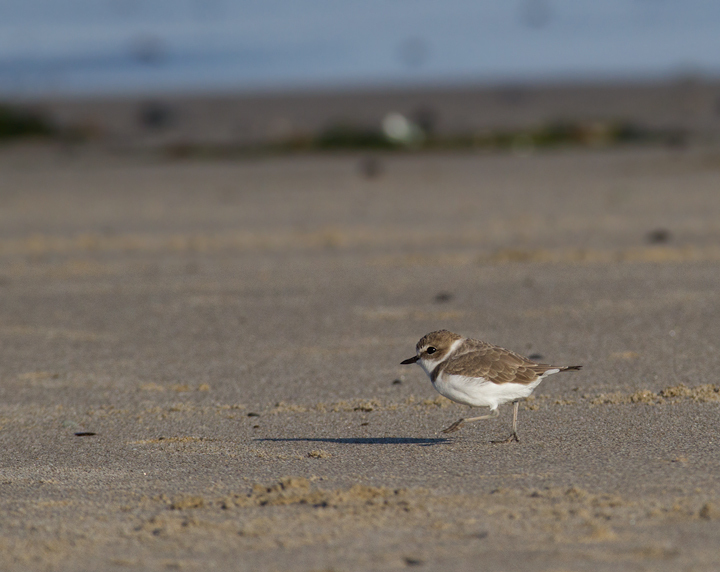 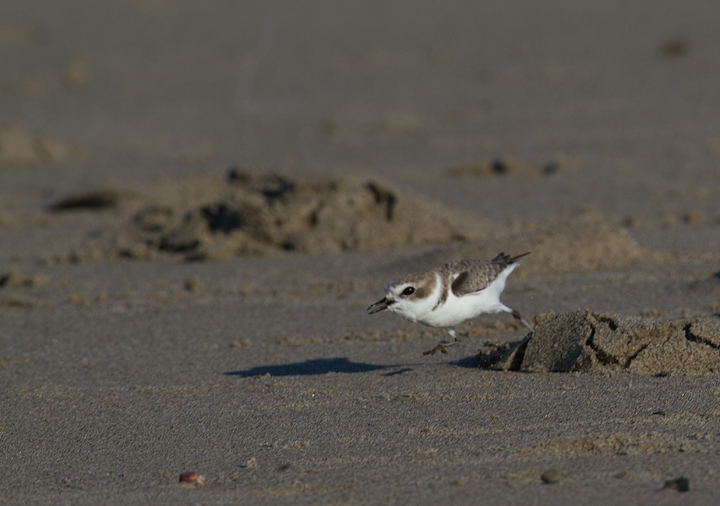 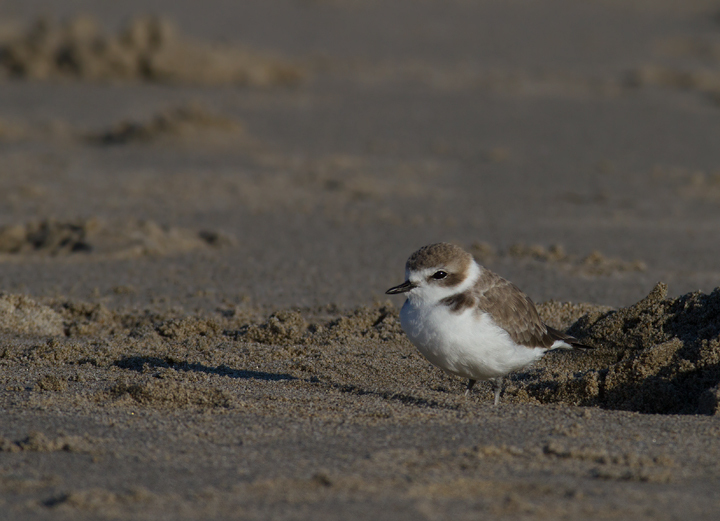 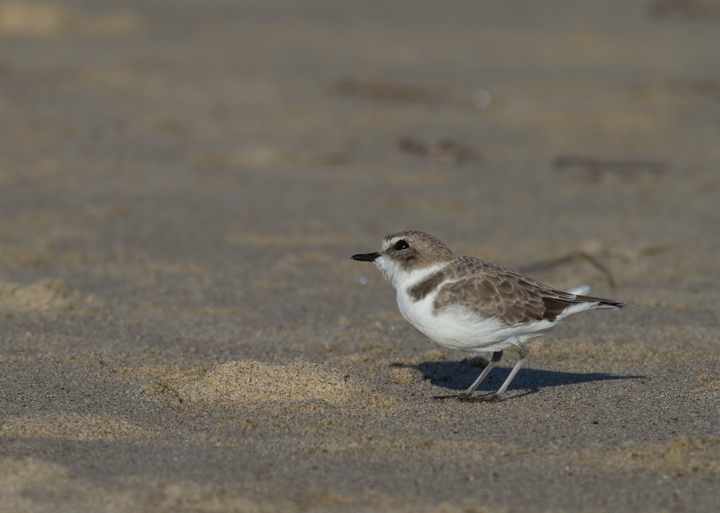 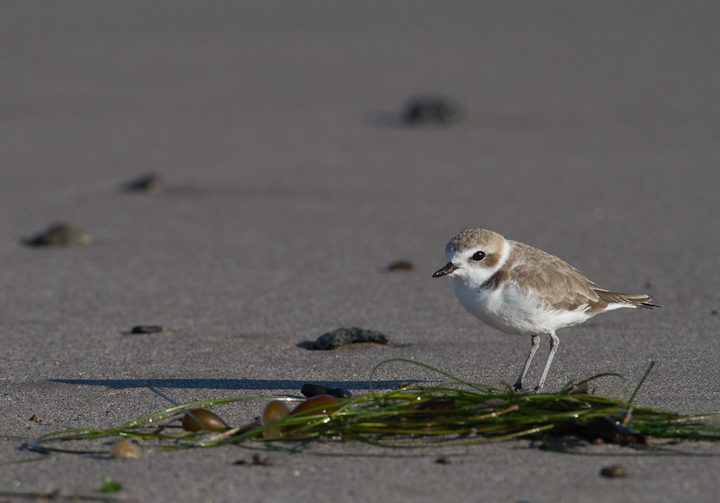 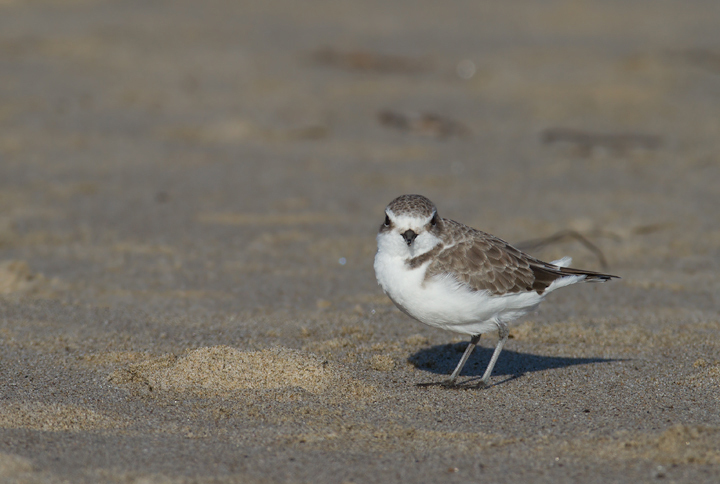 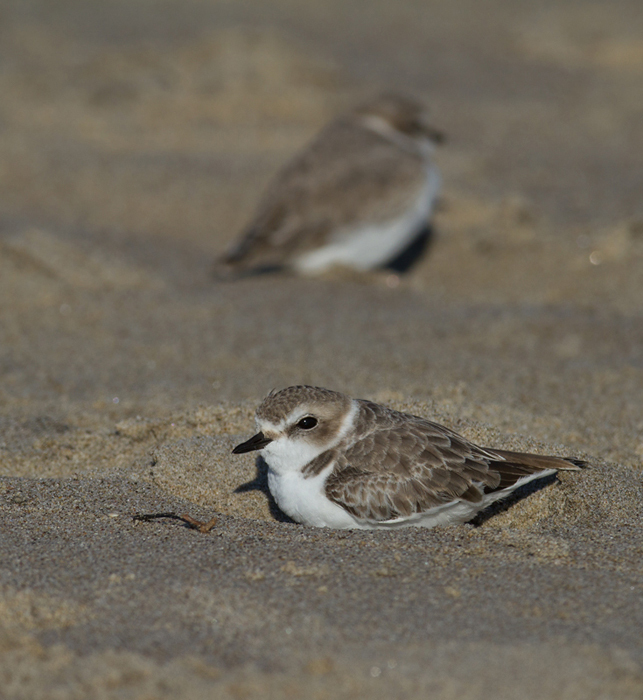 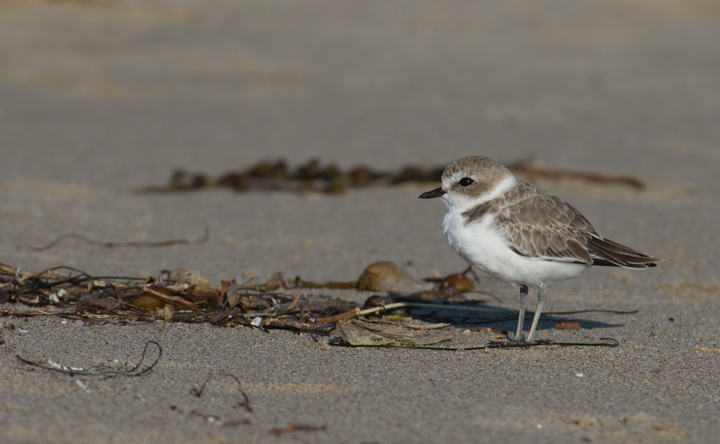 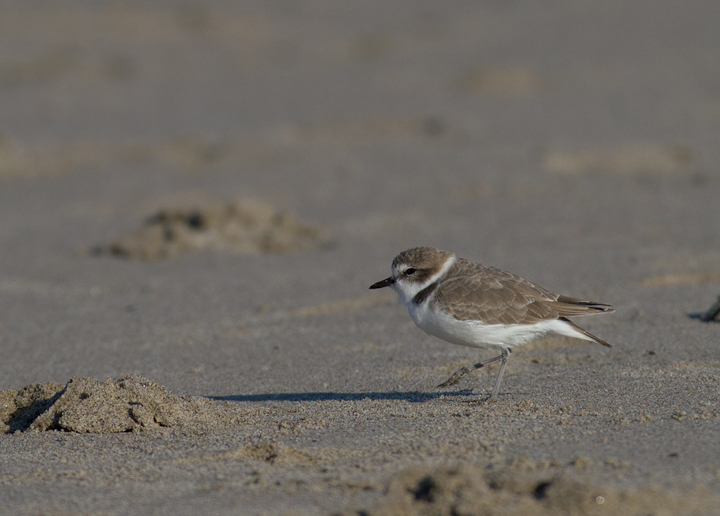 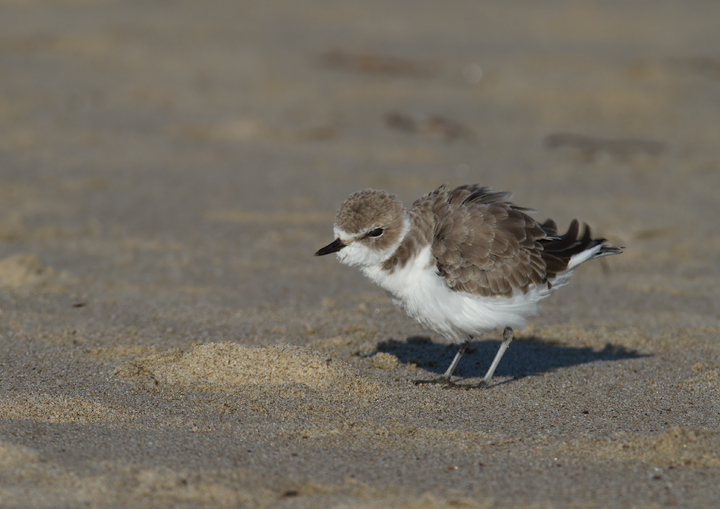 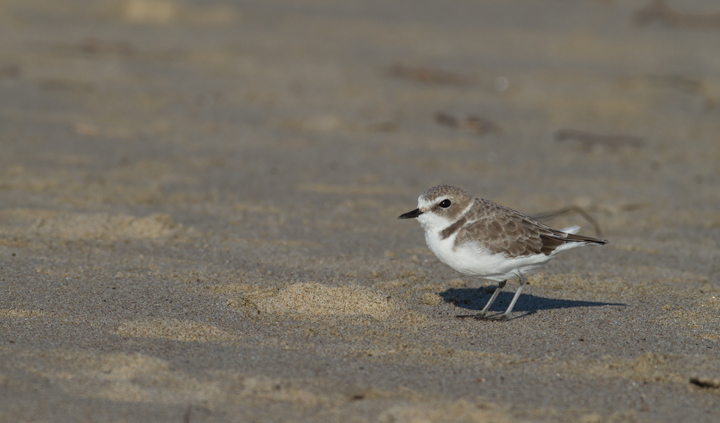 Below: OK... more Snowy Plovers! 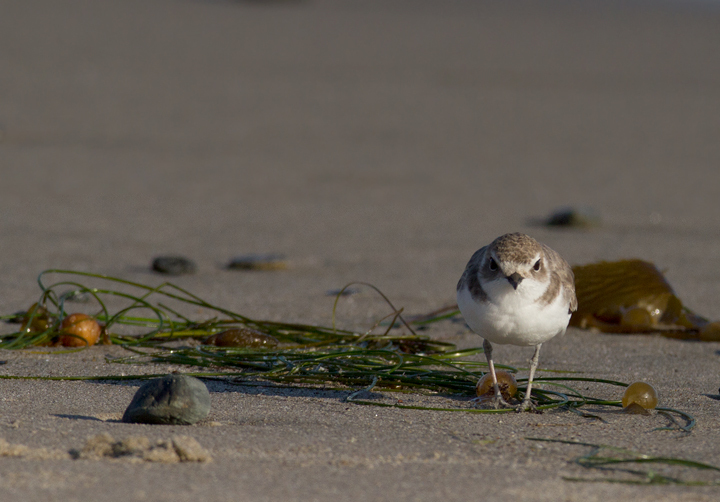 It's very hard to stop photographing them!